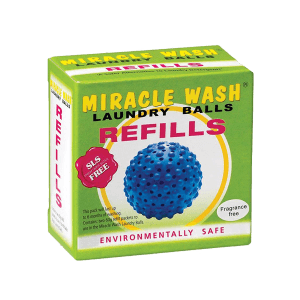 Miracle Wash ® Laundry Balls are Safe for The Environment. 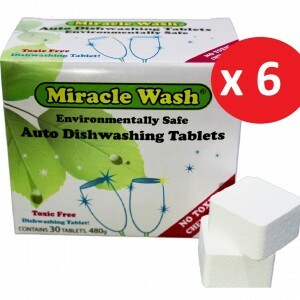 They are Reusable, Do Not Contain Toxic Chemicals or Harsh Detergents. You Can Reuse Your Grey Water on Your Garden. If You Suffer From Allergies or Eczema, Read This! I Have Many Happy Customers Who No Longer Suffer From Rashes Thanks to Miracle Wash ® laundry balls. Not Only Saves You on Electricity, Water and Washing Machine Maintenance But Costs Less Than Any Detergent. Got a question? Check out our knowledge base for questions that we may have already answered. 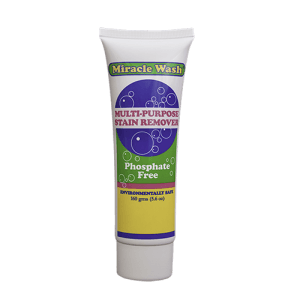 160g Environmentally Safe, Toxic Free, Phosphate Free Stain Remover. 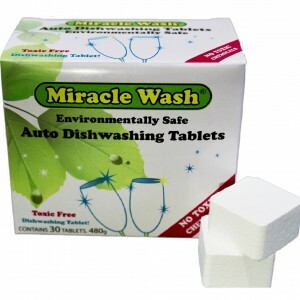 Environmentally Safe, Toxic Free, Phosphate Free Dishwashing Tablets. 30 Tablets in a box. 2x bags of Refills, will fill 2x small balls or 1x large ball. Thanks to the balls, we got almost two years extra out of our washing machine! Hi, I am another happy customer using your fabulous Laundry Balls. Especially when we are traveling in our Motorhome. Not having to rinse suds out saves a lot of precious water. I purchased my Miracle Balls at the Caravan and Camping Show in Adelaide in February and I have saved so much in both “grey” friendly detergent and water, as I now do not need to rinse. It is a fabulous system. Want To Know What Toxic Ingredients Are in The Products You Use Every day? To download This FREE REPORT (Valued at $37), simply sign up for our newsletter below.